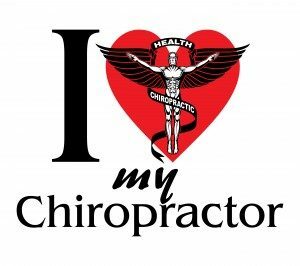 Chiropractic is a natural form of healthcare that emphasizes the body’s ability to heal itself. Doctor’s of Chiropractic are primary healthcare physicians, commonly referred to as chiropractors, which focus on the body’s spinal function and how it relates to the nervous system and its relationship regarding overall health. The basic premise of chiropractic is that spinal joints can lose their normal motion and alignment resulting in pain, nerve irritation, and increased risk of joint degeneration. It has also been clinically demonstrated that various spinal problems can result in pain or symptoms in other parts of the body. The chiropractic physician’s purpose is to identify the potential mechanical issues and how they can relate to the current health issue. The primary method of chiropractic treatment is referred to as an adjustment or manipulation and its purpose is to restore normal alignment and mobility to the affected joint. The goal of restoring the joint mechanics is improvement of function, reduction of symptoms and support of the natural healing capabilities of the body. Research (1) has shown chiropractic care to be effective in treating chronic and acute pain, headaches, neck pain and auto injuries (2). It has been found to be a highly popular, satisfying and cost effective alternative to traditional drugs and surgical approaches. If you are experiencing any of the above health issues or any other type of chronic pain, you owe it to yourself to get another opinion: check out what chiropractic can do for you! Schedule an appointment: call our office at 314.731.4383 or contact us, ask for Dr. Martin. You have nothing to lose but your pain!